RUSH: Jim in Boston, I’m glad you waited, sir, you’re next on the EIB Network. RUSH: Wait, wait, wait, wait. I’m not following you here. What’s the strategery? CALLER: The strategery is the Democrats cannot call the Republicans nativists for opposing the immigration because the president himself is opposing it. And it basically confounds their strategy. RUSH: They are calling us nativists. CALLER: But they can’t do it effectively. RUSH: They’re calling us yahoos. They’re calling us racists. CALLER: But, Rush, they can’t do it effectively because basically it’s confounded the Democrats because you’ve got President Bush himself pushing it. CALLER: Rush, can I ask you a question? CALLER: Listen. President Bush may not be the most articulate, but he is intelligent and he doesn’t have a tin ear. He knows. And basically for him now, even in the teeth of all this opposition to say he’s going to go back to Congress and try to push it, basically is keeping the issue going, and ultimately it’s going to help the Republicans by keeping the issue alive. Think about this after the fact when this is all over with, what he’s accomplished. It’s the same thing like with Harriet Miers. He never would have gotten Judge Alito in after Judge Roberts. CALLER: It is a brilliant. RUSH: It comes up a little short. RUSH: Yes, it does because for this to be analogous to Harriet Miers, next time they come back with an immigration bill, it’s gotta be an Alito immigration bill, meaning they gotta fix it. And that’s not going to be happen. CALLER: No. What it does is keep the issue alive pending the election. In other words, this keeps the issue going, keeps it active, keeps people fired up, keeps the base moving. That’s why it’s analogous totally. President Bush never would have gotten the Judge Alito in after Judge Roberts, a conservative male, had he not gone with Harriet Miers first. RUSH: Oh, wait a second. You’re telling me that he’s doing this on purpose? RUSH: And you’re telling me that he nominated Harriet Miers on purpose, knowing full well we wouldn’t accept it, and that was the only way he could get Alito? RUSH: You’re being too smart by half here. RUSH: That’s not what’s happening in this case. It is not what happened with Harriet Miers. CALLER: Let me just say, I’m saying it’s kind of like all of the above. Because here’s what I mean. Bush has Hispanic sympathies, he can show he’s trying to do the best he can, the same thing with the Arab allies and the Dubai Ports. RUSH: That’s not how presidents are judged. I’m sorry to tell you this. Legacies are born of achievements. If this thing doesn’t happen, his legacy is going to be he couldn’t get his own party rallied around him to get this done. He had Democrats willing to do it, all up until Harry Reid. And, you know, that’s an interesting thing to me, old Dingy Harry. Dingy Harry has been all over the ballpark on the subject of illegal immigration. You can find quotes, depending on how far back in time you want to go, where Dingy Harry was all against illegal immigration, then you find him moderating his tone a little bit. Dingy Harry called for a vote when Bush was out of the country, and he pulled the bill when Bush was out of the country. Dingy Harry wants this thing to stay failed. He wants it to go down the tubes. He wanted it to because, to him, in his political universe, presidential failure equals Democrat success. He was saying last week, ‘Well, this is a Republican bill. This is a president’s bill. Sure we have some Democrats working on it and trying to help, but it’s the president’s bill.’ The New York Times has one of the most incredible editorials. I’ll give you a couple excerpts from it when we come back from the break. But they’re blaming Bush, they’re blaming Kyl, they’re blaming conservative talk radio and so forth. Dingy Harry pulled the bill. That bill could still be up there, he could be offering amendments to it and giving it a chance — he pulled it. He wants Bush to fail because legacies are born of achievements, not effort. RUSH: Now, look, folks, I don’t want you to get too smart by half out there. There’s no strategery here on the part of the president to help the Republican Party by sandbagging his own bill and seeing to it that it goes down to defeat. You’re way off the beaten path. The only way that this helps the Republican Party is if the failure of this bill creates a vacuum that will then be filled by a conservative. You know, there was a story that was written on Thursday. It was a blog from down there in Ft. Lauderdale. I think it was the Sun-Sentinel. It might have been the Orlando Sun-Sentinel, could have been the South Florida Sun-Sentinel. Whatever. This guy wrote on his blog, ‘If the immigration bill passes, this will effectively be the end of talk radio and its influence. Oh, yes, they’ll still have the hosts, and you’ll still have the programs, but it will mean they’re ineffective and not worth listening to.’ I’m paraphrasing this. ‘It’ll be ineffective, no power, not worth listening to.’ Well, by the same token, this guy was of the opinion, obviously, that the bill was going to pass in the Senate and that talk radio is going to go down the tubes. Well, just the opposite has happened, and you know, Washington notes things. Now, they’ve still got a bug up their rear end about this bill, wanting to get this bill passed, but they know that there is a fortified opposition and they know that this opposition is largely indigenous, too. It’s not just because talk radio hosts are poisoning, quote, unquote, your mind. This is something simple. This is as easy for people to understand as that scam at the House Bank was when we learned that members of Congress would go in there and write checks for cash for money that was not in their account. That’s something nobody can do. They were doing it for a long time, and it was being covered up. In this case, the rule of law is a fundamental American principle, as it is a fundamental conservative principle, and nobody here is making an effort to enforce it in a bill that was written in 1986. This is easily understandable, and we see the results of it, because this is affecting people’s lives, where they live. People are being forced to move because they don’t like the circumstances that result when you have an undereducated, low-skilled, doesn’t-speak-English population that’s largely infiltrating American cities and states. It doesn’t take a massive education effort. This is something people instinctively understand. But the thing of this newspaper blog, the other side of that story is true, too. Well, the bill is technically dead now. The president’s going to try to revive it; they still say it’s on life support. But those who want to diminish and pretend that talk radio has lost its touch, lost its powers, lost its connection with people know full-fledged how wrong they are now. That cannot sit well, either, and mostly the success in talk radio is conservative, is it not? So the only way this bill going down the tubes can help the Republican Party is if it wakes up some Republicans and says, ‘You know what? Our heart is conservatism, and gets a candidate that can come here and fill the void and come up with an actual piece of legislation here that accomplishes what everybody knows needs to happen in order to solve the problem, not perpetuate it.’ So there are lots of opportunities here, not the least of which is, as I told you last Thursday, McCain has been marginalized. Oh, speaking of McCain, he’s on the warpath out there. He’s blaming conservatives for the immigration bill’s failure. ‘I think the Senate works in a way where relatively small numbers can block legislation but I also think the more conservative, anti-immigrant, anti-legislation group were very well backed up by a vocal group of people who were supporting them.’ Well, we know how to translate these words, now. So he’s out there saying the opponents are ‘anti-immigrant.’ Nobody is anti-immigrant! We’re pro-immigration — legal. We know it. I don’t have to run through all of this, but that’s the only way that this bill going down the tubes helps Republicans, is if they get the message, and there’s no guarantee of that, by the way. 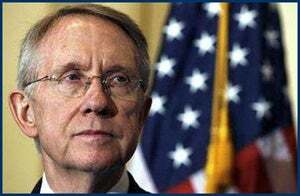 I don’t think Dingy Harry’s unfavorable’s have anything to do with pulling the immigration bill. I think his unfavorables may be why, may be a factor in why he pulled it because he knows what people think about it out there. That’s why he’s out there saying, ‘It’s Bush’s bill. It’s a Republican bill.’ He’s trying to distance himself from it because he knows that 76% of the American people are opposed it. I keep referencing this New York Times editorial. It is from Saturday. ‘A Failure of Leadership — The immigration compromise collapsed on the floor of the Senate Thursday night. Many of its hard-line foes are celebrating, but their glee is vindictive and hollow. They have blocked one avenue to an immigration overhaul while offering nothing better, thwarting bipartisanship, to satisfy their reflexive loathing for ‘amnesty,’ which they defined as anything that helps illegal immigrants get right with the law.’ Where do you start with that paragraph? That is just petulant and childish. This is not even up to the standards of the New York Times when it was good, and not even up to their recent standards when they’ve been pathetic. This is just petulant, childish behavior. ‘Thwarting bipartisanship’? What’s the magic in bipartisanship? ‘Reflexive loathing for amnesty, which they define as anything that helps illegal immigrants get right with the law’? Get right with the law means paying a debt to society, being pushed for breaking law or what have you, not clemency! Hell, look, 12 to 20 million illegals are going to be pardoned. We can’t pardon Scooter Libby; we can pardon 12 to 20 illegals. Let’s start calling it the ‘pardon bill.’ If they don’t like amnesty, let’s start calling it the ‘pardon bill,’ because that’s exactly what this is. That’s how you get right with the law, is to be pardoned? But anyway, it gets better. ‘But obstruction happened. Republican amendments designed to shred the compromise happened. Jeff Sessions wanted to deprive legalized immigrants — yes, legal residents — of the earned income tax credit, a path out of poverty for millions. John Cornyn wanted to strip confidentiality protection for immigrants who apply for legal status, making them too frightened to leave the shadows,’ and of course, they’re also upset. That was the Dorgan amendment. They don’t like Dorgan. They don’t mention him much in here but they don’t like the fact that Dorgan brought — well, Dingy Harry brought Dorgan’s amendment back after it had been defeated once and Dorgan amendment cut the five-year sunset on the guest-worker program. But there’s one other aspect to it, too. The Times is upset over the effort to deport criminal illegals. They didn’t even want to deport them. ‘Leadership was desperately needed to stop Republicans from dragging the bill off one of its pillars, the one that would have put 12 million people on a path to legal status. It didn’t show up. Republicans who should have been holding their party and the deal together — President Bush, Mitch McConnell, Senator Jon Kyl — failed utterly.’ I read that and I said, ‘That’s funny, because I thought Dingy Harry was the leader in the Senate now responsible for getting it through the Senate.’ Dingy Harry pulls it when Bush is out of town and Bush is dealing with Kyoto and Putin. Kyl and McConnell are now to be blamed for this? ‘Leadership was desperately needed to stop Republicans from dragging the bill off one of its pillars. Restoring order will be wrenchingly difficult, but it must be done,’ says the Times. ‘The country cannot leave an unlawful, chaotic system to fester with legal immigration channels clogged, families split apart…’ Boohoo! ‘…crops…’ See, it’s like we’re doing this! We are separating families. We are causing crops to rot. We are the ones who owe these people an apology. We are the ones who are making victims out of them. ‘… crops rotting, state and local governments dreaming of ways to punish 12 million people whose identities are unknown to the authorities, who aren’t leaving no matter what Congress does.’ (sigh) ‘We cannot simply fortify a wall while continuing to extract cheap labor from cowering workers who risk death to get here. Inaction on immigration carries a brutally high price, but those on the phobic right are willing to mortgage their country’s future to pay for it.’ Really? We’re trying to preserve the country’s heritage and future, something that the New York Times doesn’t like as it currently exists and would love to tear it down and participate in the process to tear it down and rebuild it in their own childish, petulant, socialist vision. RUSH: In all these stories — and you can predict ’em. In all these stories, ‘Talk radio goes down. Talk radio is losing its influence.’ Why don’t they ever tell the truth? ‘Ted Kennedy goes down.’ Let me rephrase that. Why don’t they ever write stories that Ted Kennedy ‘can’t get it done in the Senate’? Or that Dingy Harry can’t get it done? It’s always in the context of, ‘Well, talk radio can’t get it done,’ and when we do get it done, it’s because we’re nativists, yahoos, racists, and all the rest of it.